Agave can be beautiful, sculptural elements in the landscape; but many come with large dangerous spines that may not be right for every planting situation. 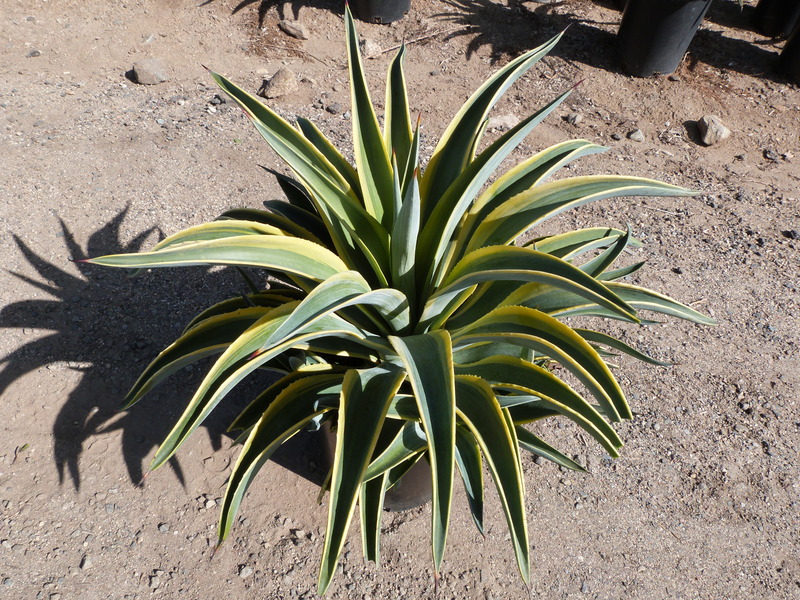 Agave desmetiana, often called a “dwarf variegated agave” or “dwarf century plant, does have some tiny marginal thorns, but they’re a bit less intimidating. Plants grow into an urn-like shape with large curved leaves. Its compact and dense shape makes it perfect for planting en masse or as focal points in mass plantings. It’s even more striking as a container specimen and perfectly suited for contemporary landscapes. Foliage is bright green edged with bright golden yellow, which offers up a nice contrast in the landscape. Plants grow relatively quickly with minimal care. They’re heat tolerant and typically planted in a full sun location, however in very hot climates they do benefit from a bit of afternoon or filtered shade. Plants need good drainage to thrive and are very drought tolerant once established. Take note that these agave will put on a large bloom spike at maturity, which happens at about 10 years of age. Once plants bloom, the mother plant will die and you’ll be provided with a number of “pups” with which to start new plants.